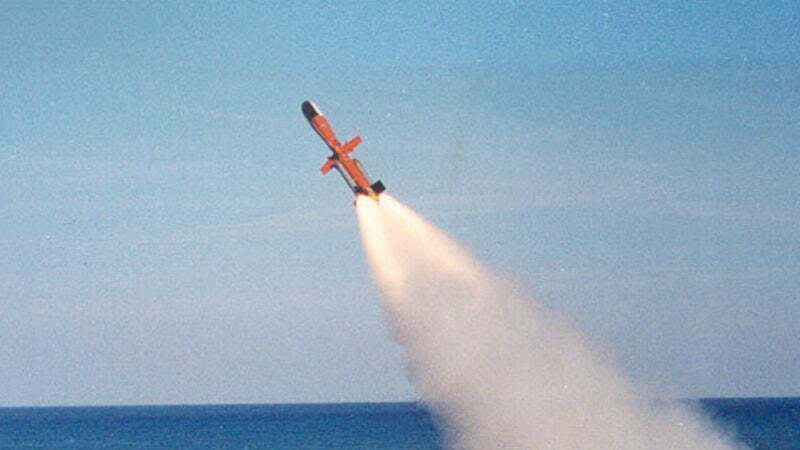 The Marte MK2/N fire-and-forget anti-ship missile was introduced in January 2006. Image: courtesy of MBDA. The Marte MK2/N surface-to-surface missile has a range of 30km. Image: courtesy of MBDA. The Marte MK2/S air-launched anti-ship weapon served as the basis for the Marte MK2/N ship-launched variant. Image: courtesy of MBDA. Introduced in January 2006, the surface-to-surface missile system can be carried on new-build or existing naval vessels such as fast attack craft and offshore patrol vessels with lengths between 25m to 50m. It is also suited for integration onto Marte MK2 mobile coastal defence system (MDCS). The system is designed for use by the navies to engage fast manoeuvring targets at medium ranges within the exclusive economic zone (EEZ) in all weather conditions. It can also be deployed in low-intensity naval warfare operations to destroy a number of low and high-value targets. MBDA secured the first export contract for Marte MK2/N rapid-response anti-ship missile systems from the UAE Navy in 2009, for integration onto its new fast attack craft that are based on Ghannatha-class combat vessels. First deliveries of the missile took place in 2012. MBDA conducted a qualification testing of the missile at the Poligono Interforze di Salto di Quirra weapons testing range in Italy in May 2011 to assess the missile’s flight parameters, dynamic capabilities and canister behaviour. The UAE Navy placed an order with MBDA for additional Marte MK2/N missiles in February 2017. The Marte MK2/N surface-to-surface missile features compact and lightweight design. It is fitted with four wings at mid-body and four control fins at the rear. The weapon has a length of 3.85m and a body diameter of 0.316m, and weighs 310kg. It incorporates state-of-the-art digitised technology, offering high operational flexibility in the maritime battle space along the coastlines, fixed offshore structures as well as commercial shipping. The missile’s sea-skimming capability allows it to escape from enemy air defences such as radar and infrared detection. The Marte MK2/N fire-and-forget anti-ship missile uses a combination of midcourse inertial guidance and active radar homing for guidance and navigation. The surface search/navigation radars aboard the launch platform perform initial target designation and tracking prior to the launch of the missile. After launch, the nose-mounted active radio frequency (RF) seeker acquires the target coordinates from the surface search/navigation radars and allows the missile to fly autonomously towards the target through a number of waypoints. An inertial guidance system is used to provide guidance and control for the missile during its mid-course phase of engagement. The active radar homing method is employed to track targets autonomously during the terminal phase of flight. Target designation for the missile can also be provided by electro-optic (EO) sensors and electronic surveillance measures (ESM) either mounted on the launch vessel or from other platforms through a data link. A semi-armour piercing high-explosive (HE) warhead, equipped with impact and proximity fuses, offers high probability of kill against a variety of ships and large boats. "The missile’s sea-skimming capability allows it to escape from enemy air defences such as radar and infrared detection." The Marte MK2/N ship-launched missile can be carried in a number of launcher configurations including single, stacked twin, flat twin and quad cell, based on the size and deck space of the launch platform to provide increased firepower. The missile’s launch canister is designed based on the Aspide naval air defence system launcher developed by MBDA. Mission planning and weapon control tasks are executed by a fire control system placed in the launch vessel. The control unit consists of Marte missile control unit (MMCU) and missile interface unit (MIU). The mission planning functions are performed by operators on multi-function display controllers (MFC) aboard the vessel. Powered by a rear-mounted rocket motor, the Marte MK2/N anti-ship missile can fly at high subsonic speeds. It is capable of hitting targets at ranges of more than 30km. Designed in accordance with the safety standards applicable to onboard weapons systems, the weapon strengthens the combat capabilities of naval vessels in blue water littoral combat operations.